It does, and the company that owns the once-ubiquitous social network is being bought by Time Inc. to help the magazine publisher target ads. Time Inc. did not say Thursday what it paid. The publisher of People, Sports Illustrated and Time magazines was spun off from entertainment company Time Warner in 2014. It is facing a decline in print ad dollars and posted an $881 million loss last year. 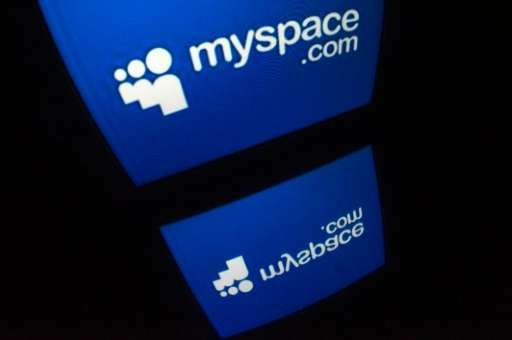 Myspace's parent company is Viant, which says it provides marketers with access to over 1.2 billion registered users. That's the number of people who have signed in to Myspace since it was created in 2003. Myspace peaked in 2008 with some 76 million U.S. visitors before losing ground to Facebook. News Corp. sold it in 2011 to Justin Timberlake and digital ad company Specific Media, which was founded by brothers Tim, Chris and Russell Vanderhook, for $35 million, a fraction of News Corp.'s $580 million purchase. Today, Myspace is an entertainment-focused site that plays music videos and songs. Chris Vanderhook, now Viant's COO, says the site gets about 20 million to 50 million unique views a month. Travis DeLingua, a spokesman for Viant, declined to give a more precise estimate, saying in an email, "That's accurate but we don't have a more precise number than that." As a comparison, Facebook has more than a billion monthly active users. Chris Vanderhook says Viant has used Myspace's data files to attract marketers who want demographic information like age, gender and geographic location on online users, and that targeting ability is what attracted Time Inc.
And Timberlake? Tim Vanderhook, Viant's CEO, said the pop star has "been an equity owner the whole time," but declined to say if he still is after the deal with Time Inc.